Blogs as we all know are for failed journalists and as such should be viewed with contempt. I quote Julian Marks, founder of the best flatshare website in the world, www.moveflat.com. What a generalisation, and judging by many of the ‘journalists’ blogs I found when I was researching how to set up a CV site for myself, he is right in lots of cases. Which doesn’t make him any less of a meanie. As for me, like most of us, professionally I sometimes feel a failure, sometimes a ravishing success. Blogging-wise, I just love to write. I have always loved the magazine format, and having a blog is like having your very own instant magazine to play with. On my blog I am developing my voice and putting my words in front of readers, a vulnerable-making and hugely rewarding activity for a writer. I appreciate readers of my blog immensely; I am very grateful to them. It’s rare that my friends and family read, which is even cooler. Although, guys you could have a look once in while too, OK? 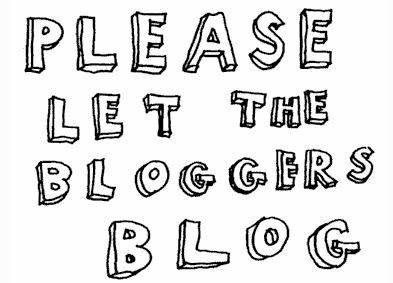 Luckily, blogs are increasingly being deployed by all and sundry due to being a fast way to create a dynamic platform for bringing a project to life, be that a brand, charity, arts organisation or other passion, so my blogging has now become an asset to my writing career. I now do it for several other people as well as for myself. It’s funny because here in our dear Blighty, whoever we are we attach all kinds of negative connotations to things in our lives, then spend our whole time feeling embarrassed by them. I am well used to skitzing out between keeping going in a furtive and slightly ashamed around the edges manner, or being loud and proud and enjoying the results. And then dissolving into snarling combat mode. All very healthy. On I go. Perhaps if this blog keeps on having readers and people continue to engage with it positively I will be cured. Needy? Moi?